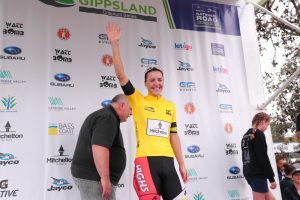 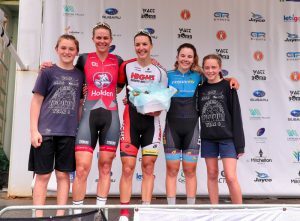 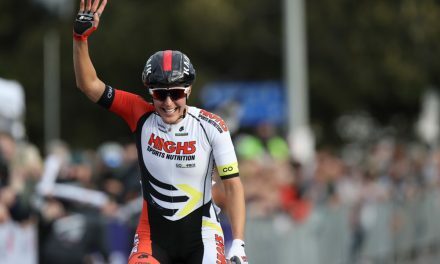 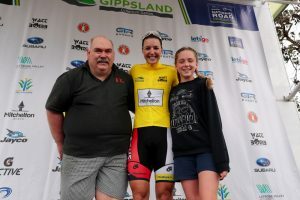 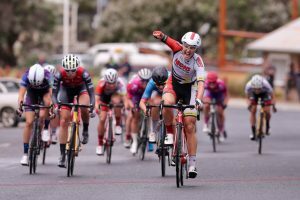 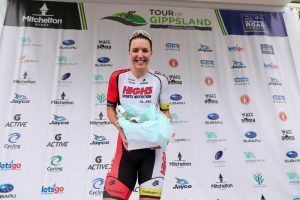 Rebecca Wiasak has continued the incredible winning streak of the High5 Dream Team, storming home from a long way out to take the victory in Stage 1 of the 2017 Tour of Gippsland. 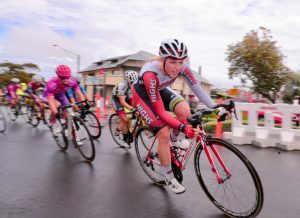 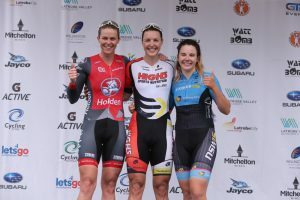 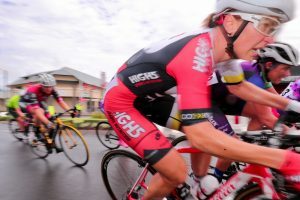 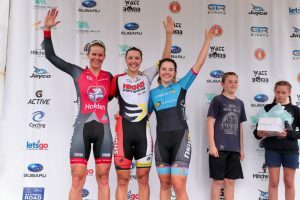 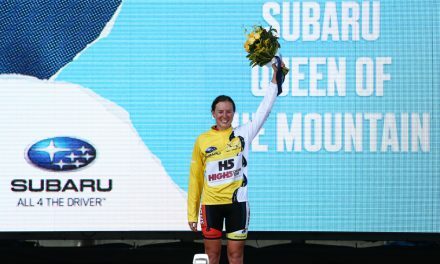 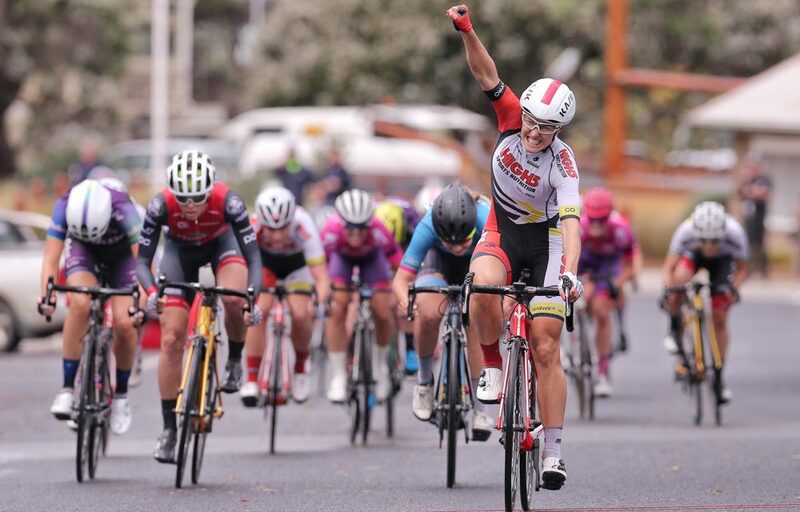 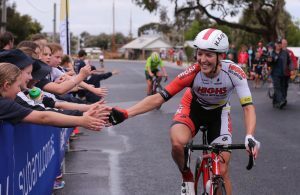 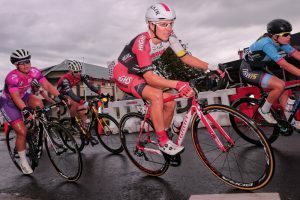 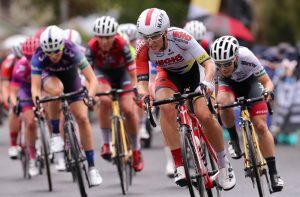 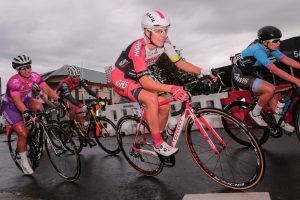 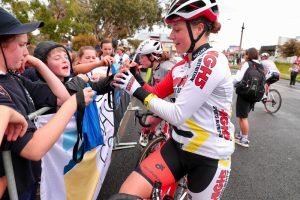 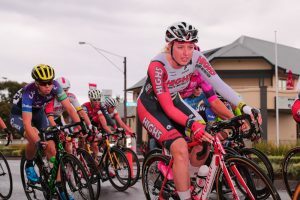 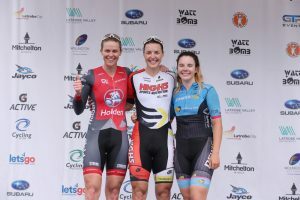 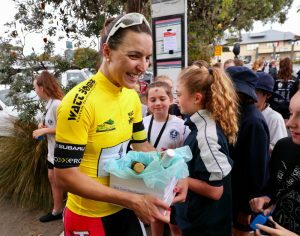 In wet conditions in Inverloch, the High5 Dream Team animated the early stages with multiple attacks, then controlled the front of the peloton in the closing kilometres, setting up Wiasak to launch her sprint from the final corner of the 900m circuit. 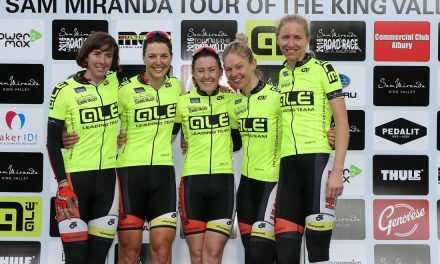 To cap a stellar stage, the High5 Dream Team had four riders in the top 10 as Kristina Clonan finished 5th, Chloe Moran 7th, and Ruby-Roseman-Gannon 10th. 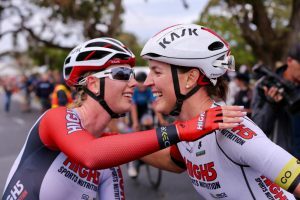 ‘The kids on the side of the road made for an electric atmosphere, and I’m thrilled to get the win for the High5 Dream Team,’ said Wiasak. 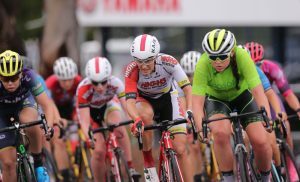 The 2017 Tour of Gippsland continues tomorrow, Friday October 20, with a 45 minute plus five laps criterium around a 1.25km course in Sale. 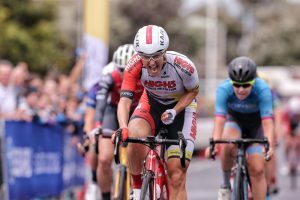 Watch the live stream on the Subaru National Road Series Facebook page, or follow on Twitter via hashtags #TOG17 and #NRS17.